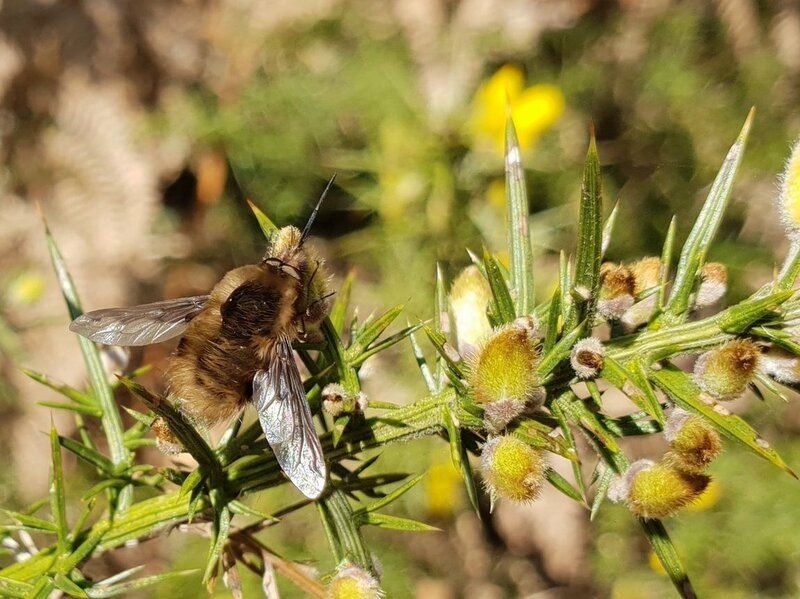 Join in with Bee-fly Watch 2019! 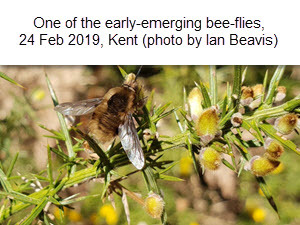 Bee-fly Watch is now into its fourth year, and the bee-flies celebrated by appearing earlier than ever before - the first one was seen on 17 February, about two weeks before their normal emergence date! These distinctive furry flies will be on the wing through to June, often hovering over flowers and using their long 'nose' (proboscis) to feed on nectar. NEW: you can add your bee-fly record using the form below (or you can use the standard iRecord forms in the usual way). To add your sighting to Bee-fly Watch 2019 you can use the form below for a one-off sighting (there is a similar form via Dipterists Forum), or you can add records via the iRecord website or iRecord app - they'll all end up in the same place! If you're new to bee-flies, or at all unsure of what you've seen, please upload a photo with your record. If you don't know what a bee-fly looks like head over to Steven Falk's brilliant photos. Download our identification guide for further details. For lots more fascinating facts on bee-flies go to our main bee-fly page, where there are lots more links, videos and downloads, and see #BeeFlyWatch on social media. Last year bee-flies got off to a good start with warm weather in early spring, and records were gathered from many parts of the country. What will 2019 bring?